Book trailers, what are they? 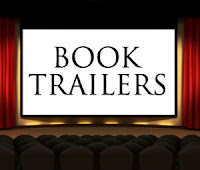 A book trailer is a video advertisement for a book which employs techniques similar to those of a movie trailer. Book Trailers can be acted out, full production trailers, flash videos, animation or simple still photos set to music with text conveying the story. Besides being used to promote books, book trailers are a way to get otherwise reluctant readers to become motivated to read. Which I think is a great tool. Any ways we can find to get people to read are great in my book! What do YOU think? Does it make you want to read the book? Should I incorporate any book trailers in my reviews? Is this the first time you've seen a book trailer? I've never seen a booktrailer before! I tried to watch one of the videos you posted but it wouldn't play on my laptop. Either way, I think it's an interesting idea to promote books. By the way, I'v given you an award on my blog! I totally skim review too Amy!!! I hate when people spoil it for me. That's why my reviews are short and to the point whether I liked it or not. I feel ya girls! I too keep my reviews short. I hate reviews that are too long and tell me too much. As for the videos: they don't sway me but if I'm looking forward to a book - they're like teasers that get me excited about the release date. I've really enjoyed seeing some of the recent book trailers. I couldn't really say they sway me one way or the other, but they do add to the experience of the book itself. I saw the S&S&S one a few months back and laughed so hard. It's just wrong. And hilariously so. I have watched several book trailers before, and always entertained me. The ones you posted look really good! I think it captures the overall feel of the book, as well as the audience's attention or maybe even their curiosity.